Simple, classic, elegant...a timeless design that makes the perfect gift for graduation, birthday, or groomsmen gifts! 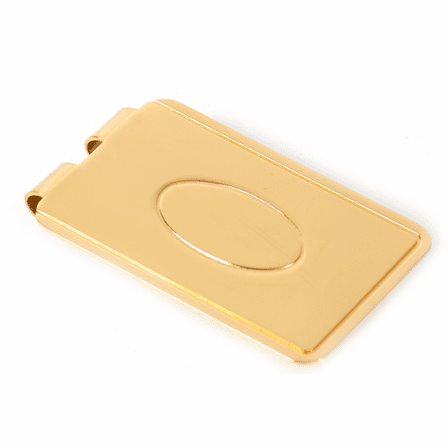 The Oval Collection money clip is polished gold-plated stainless steel,, built to last for a lifetime, with a spring-loaded grip that can secure up to 25 folded bills, and allows for easy addition and removal of cash when you need it. 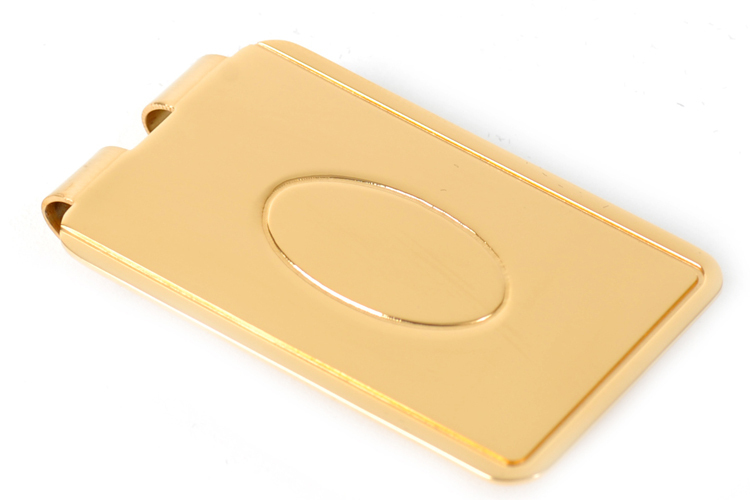 The engraved oval center becomes the border for personalized engraving of name or initials, which is available free of charge! 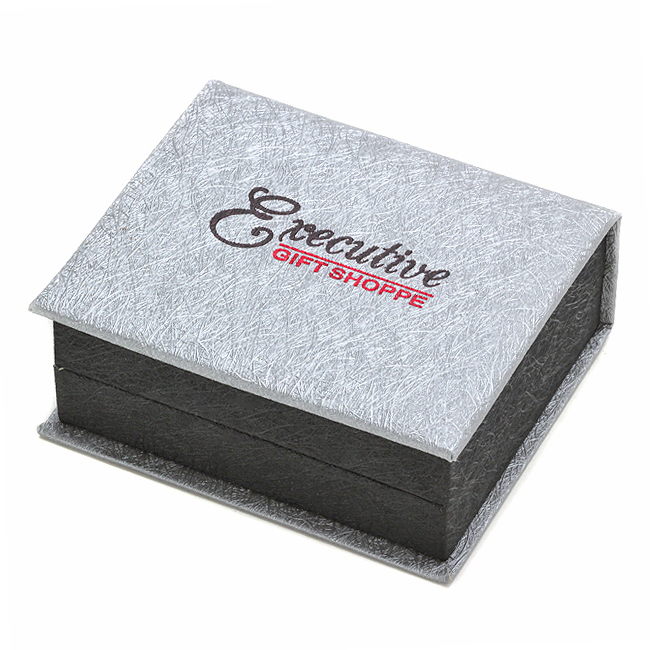 Dimensions: 2 1/4" x 1 1/4" x 1/2"
That refers to the size of the engraving font. 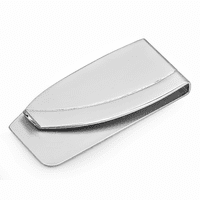 You can adjust that to make your engraving larger or smaller. Sorry for the confusion. Any warranty on the gold plating? 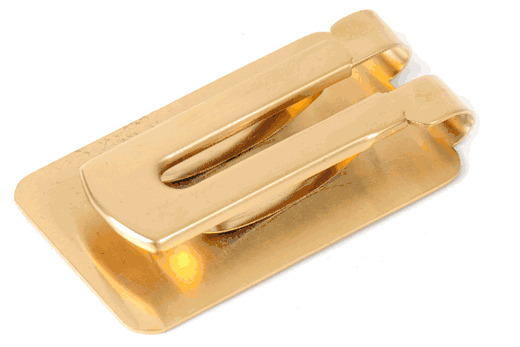 Yes, the gold plating has a lifetime warranty. 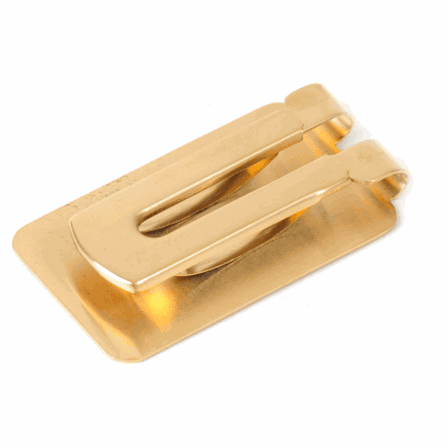 Just hold on to your order # after placing your order and if the gold plating ever rubs off, you can send back your money clip with your order # and we'll ship a replacement. 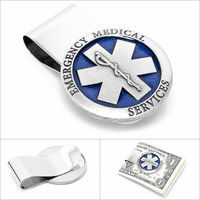 I searched and searched for a spring loaded small money clip. 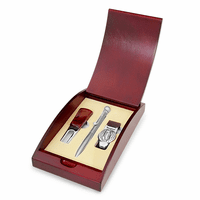 It was exactly what my husband wanted and the free engraving was a bonus. It arrived promptly in perfect condition. I know he will enjoy it for many years to come.